Seniors age 75 and up—need to visit DMV to renew driver’s license. PROPER identification will be needed for the above services. 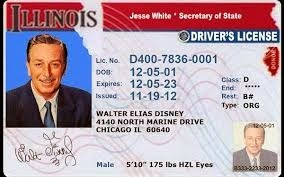 INFORMATION will be available on the Temporary Visitors Driver's License [TVDL] for people undocumented. FORM OF PAYMENTS: Cash, check, credit cards accepted [American Express, Master Card, and Discover, NO VISA]. ACCEPTABLE identification documents [photocopies are not accepted] are proof of legal name, date of birth, Social Security number and residency when applying for a driver's license/ID card. SPECIAL SERVICE: Secretary of State DUI [Driving Under the Influence] Hearing Officer Rosanna Tanon will be on the site to give DUI information. Doors open at 9 a.m.
2-month old granddaughter, Vittoria Petrola. BIRTHDAY PARTY: State Rep. Elizabeth “Lisa” Hernandez [D-24th District] supporters celebrated Rep. Hernandez's birthday at her 4th Annual Golf Outing fund raiser on Tuesday, July 15, 2014 at GlenEagles Golf Course in Lemont, IL. THE GOLF outing featured 18 holes of golf, breakfast, lunch at the 9th hole, an open bar from 2 until 4 p.m., buffet dinner at 4 p.m.and raffles throughout the evening. It was an enjoyable day. OVER 250 guests attended the event attracted 175 golfers. “The outing was a success, and it gets bigger and better every year,” said husband Democratic Committeeman of Cicero, Charles Hernandez. THE SURPRISE of the day was the arrival of Rep. Hernandez's 2-month old granddaughter, Vittoria Petrola and her mother Jackie. It was a precious moment for Rep. Hernandez who immediately embraced her granddaughter as soon as she came into the room. AFTER DINNER, everyone sang “Happy Birthday” to Rep. Hernandez. She successfully blew out all the birthday cake candles and everyone cheered. A lot of raffle prizes were given away; and everyone had a good time. ENROLL AMERICA: Steven Venick, organizer for Illinois Enroll America, is placing “Drop Boxes” in businesses in order for interested customers to share their contact information with him regarding the Enroll America program. The “Get Covered America” campaign focuses on raising public awareness and engaging consumers about the new affordable health insurance options available under the Affordable Care Act. YOU ARE ENCOURAGED to “drop” your contact information in the drop box. There is a “Drop Box” at the Little Village Community Council, 3610 W. 26th St., Chicago. “OUR CAMPAIGN has already partnered with a number of private businesses, from local grocery stores and restaurants, to large organizations like CVS and Kmart,” said Venick. THURSDAY, JULY 31—42nd Annual “Fiesta de Sol”, the largest Latino festival in the Midwest, 1400 W. Cermak Road [Pilsen] starting at 5 p.m. to 10 p.m. FRIDAY, AUGUST 1—11 a.m. to 11:00 p.m., SATURDAY, AUGUST 2—11 a.m. to 11 p.m. SUNDAY, AUGUST 3—11 a.m. to 10 p.m. FREE ADMISSION. For more information log onto fiestadesol.org. SUNDAY, AUGUST 3—Trio Los Primos musical event from 4 p.m. to 6 p.m. at the Manuel Perez Jr. Memorial Plaza, 26th St. & Kolin Ave. Sponsored by SSA #25. FREE. SUNDAY, AUGUST 10—Mariachi Tapatio musical event from 4 p.m. to 6 p.m. at the Manuel Perez Jr. Memorial Plaza, 26th St. & Kolin Ave. Sponsored by SSA #25. FREE. UNO CARRERA: Mark your calendar. 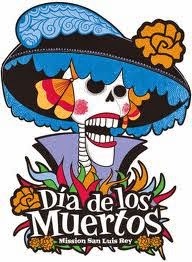 The United Neighborhood Organization [UNO] has announced that registration is now open for the 8th Annual UNO 5K Carrera De Los Muetros [Race of the Dead] scheduled for November 1, 2014 at 8 a.m. in Pilsen, Chicago. Last year's 7th Annual UNO 5K over 5,500 runners registered for the Carrera de los Muertos; and hundreds dressed in Dia de los Muertos costumes [skull makeup, etc.] cheered them on. Runners ran through the streets of Pilsen and University Village. It’s a festive event. Visit the Race of the Dead Facebook Page for more updates. Visit www.raceofthedead.com and YouTube.